You’ll find many amazing things at the Disneyland Resort: Mickey Mouse, dragons, princesses, and awesome thrill rides. One thing you won’t find a lot of is grass. 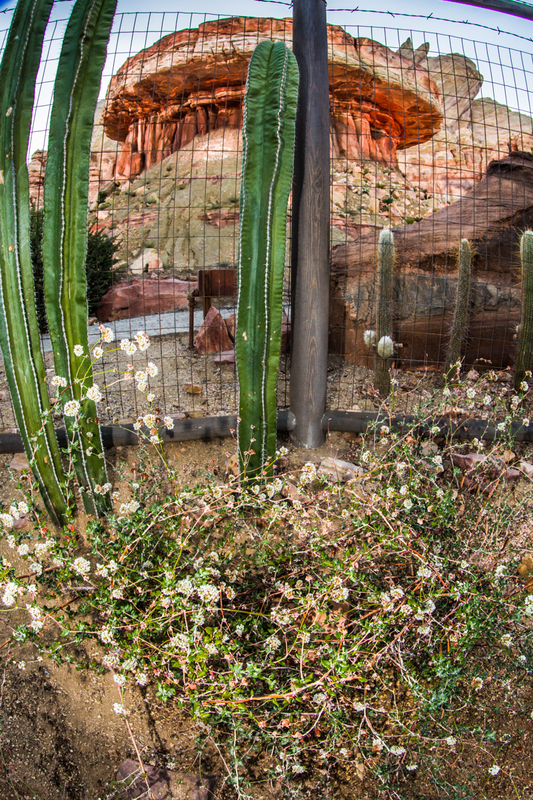 Disneyland Resort boasts plants of varying descriptions that help tell the story of each land and ride in the Magic Kingdom – the breadth of plant life is truly amazing, and many of them can be grown with very little water in your own front yard. Your first glimpse of Disney Magic as you arrive on the tram. Photo courtesy Disneyland Resort. We got the chance to talk with the two people behind Disney’s magical plant palette: Adam Schwerner, director of horticulture and Chris Barnhill, manager of Horticulture. Schwerner and Barnhill are both self-described “plant nerds” and their enthusiasm for their jobs comes through as they describe their work at the park. Olive trees create a Mediterranean look, appropriate for SoCal’s Mediterranean Climate. Photo courtesy Disneyland Resort. “We use plants to tell the story of each setting,” says Barnhill. Plants support the environment, from jungle, to the Old West, to the edible gardens of the future. Among those plants are quite a few “water smart” varieties that you can plant in your own yard and significantly cut down your water use. The Disneyland Resort, which includes Disneyland Park and Disney California Adventure Park, is located in the Santa Ana River Watershed, which encompasses part of the Inland Empire and Orange County – running from Big Bear to Huntington Beach. Many different plants can be grown in our gorgeous Mediterranean climate. 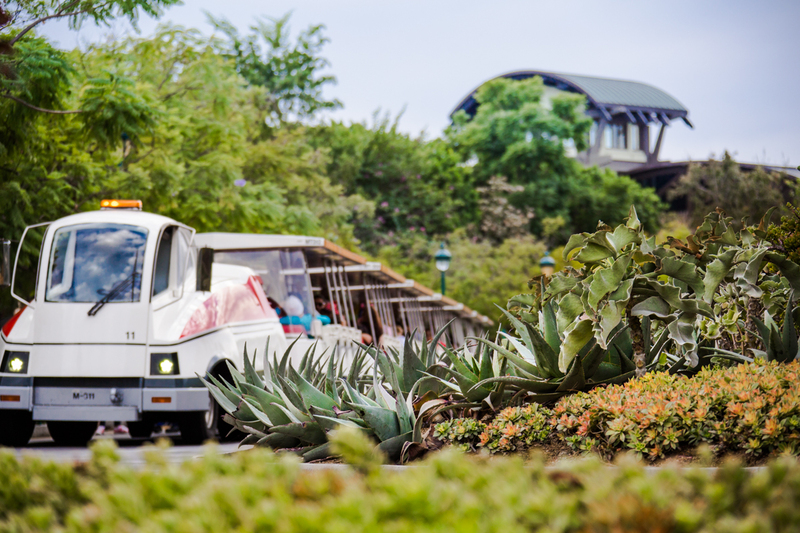 Disneyland Resort recently transitioned Autopia to tell the story of a freewheeling road trip while using more “water savvy” plants. 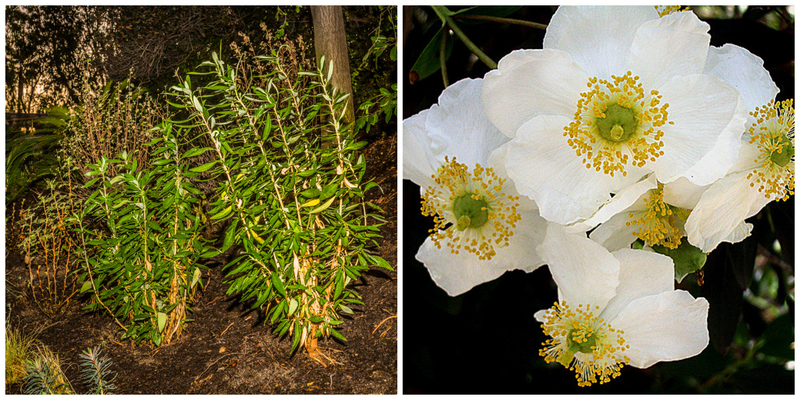 Here, you’ll find carpenteria californica – a large shrub that seasonally grows beautiful white flowers. Native to Southern California’s chaparral ecosystem, this bush is even cultivated in Britain for its lightly scented, glistening white flowers (about 2-3 inches across). 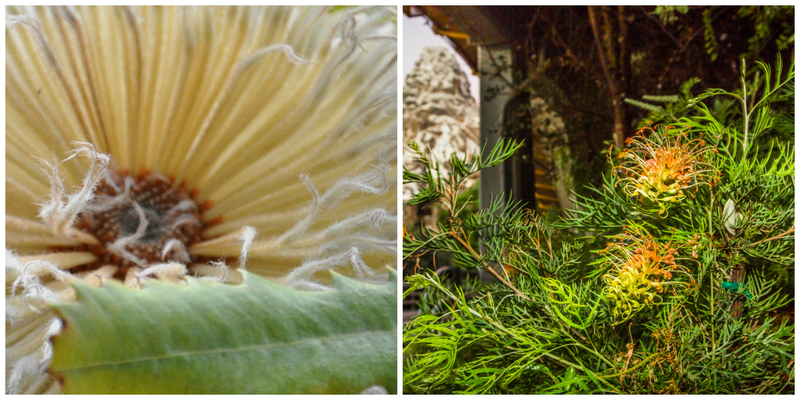 Another spectacular specimen in Autopia is banksia – a flowering shrub that hails from Australia. “It’s well known in the cut flower trade,” says Schwerner. 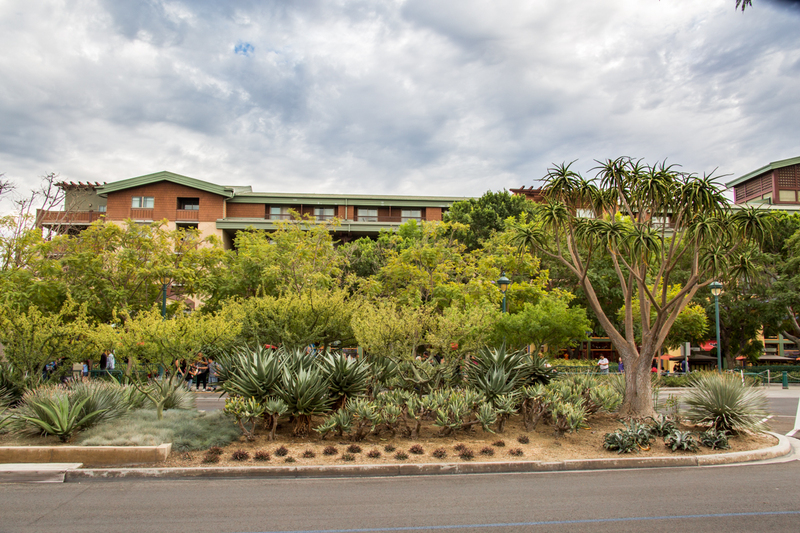 Guests driving through Autopia will also pass grevillea, which boasts unique pink and green blooms. 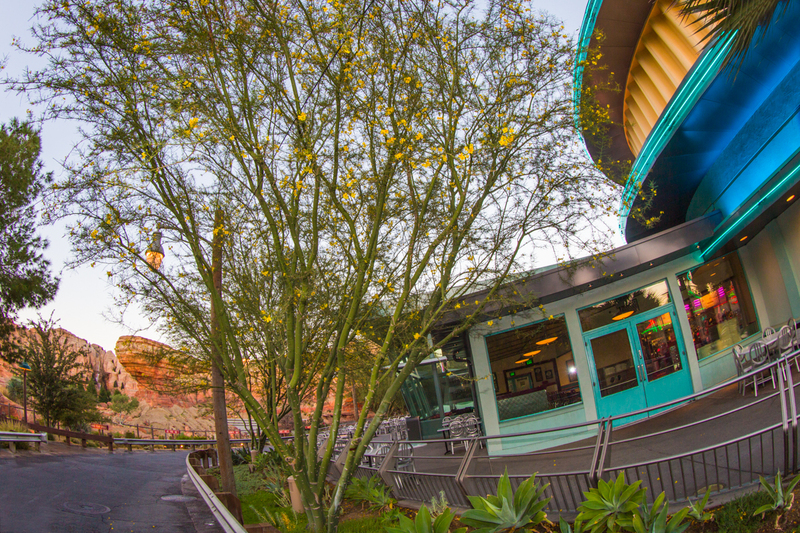 In Cars Land, plants help bring the “Route 66” vibe of the movie Cars to life in Disney California Adventure Park. Framing the colorful “Welcome to Cars Land” sign are Green Palos Verde trees, also found across from Radiator Springs Racers. They evoke a definite “desert” look with a shock of green against any backdrop. Bright yellow flowers bloom among delicate, lacey leaves. Green Palos Verde near Radiator Springs Racers. Photo courtesy Disneyland Resort. Schwerner’s favorite plant in Cars Land is California Buckwheat, which can be found while standing in line for Radiator Springs Racers. He’s planted some in his own backyard. Also found here are pinyon pine trees. 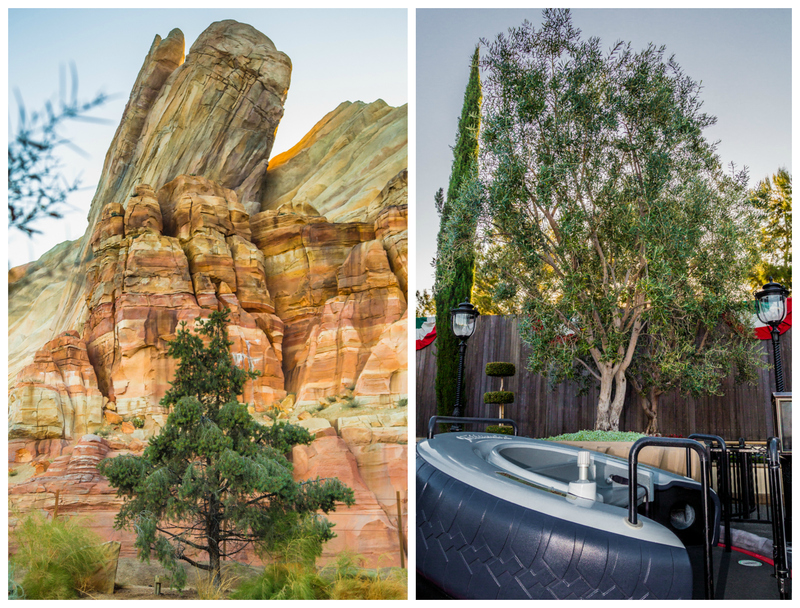 Pinyon Pine at Radiator Springs Racers and Olive Tree at Luigi’s Flying Tires. Photos courtesy the Disneyland Resort. “The pinyon pine is one of the more drought-tolerant conifers, where pinyon nuts come from,” says Barnhill. It grows wild in the American Southwest, particularly near the “Four Corners” region. With a wide canopy, it can provide a great deal of shade in your yard on hot days without much impact on your water budget. California Buckwheat. Photo courtesy the Disneyland Resort. While visiting Luigi’s Flying Tires, you can see water savvy plants that evoke a definite look of an Italian villa – olive trees. 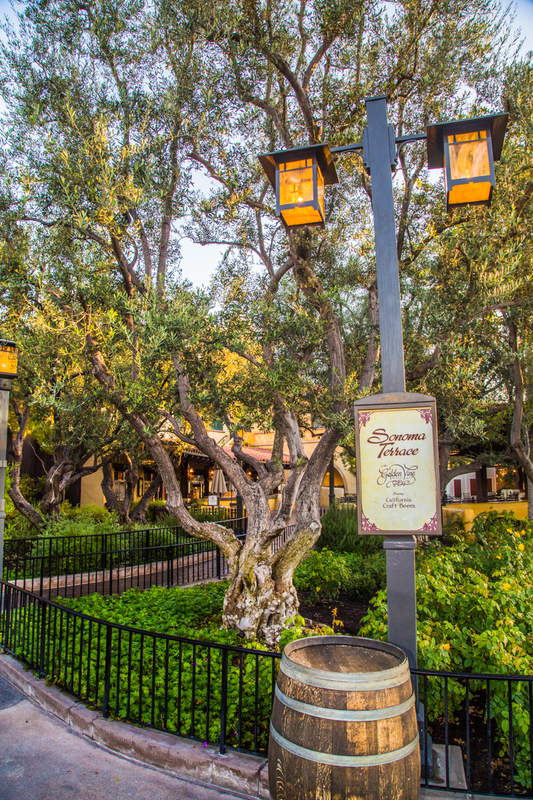 Olive trees also grow across from Cars Land, outside of Wine Country Trattoria restaurant. Many people are surprised to learn that fruitless olives require very little water, and when combined with Italian cypress, structural hedges, and plants like lavender and rosemary, can bring a bit of Tuscany to your own backyard. Adding on to the Tuscany theme, planting a vineyard like the one outside the Wine Country Trattoria can be a water-wise choice. Vineyards were grown without much irrigation in the Santa Ana Watershed throughout much of the 20th century – today, you can taste that part of local history yourself at one of the last remaining local vineyards – the Galleano Winery. The fantastical garden at the center of the Tram Turnaround is meant to introduce visitors to the wonder of the botanical world. Photo courtesy Disneyland Resort. What they’ve created is pure Disney magic, with an amazing variety of aloes and Kalanchoe beharensis that assume impossible shapes. They would look spectacular bordering any yard. What you don’t see in the Magic Kingdom is a great deal of is grass. There is a twofold reason for that. First of all, according to Barnhill, “We can tell the story better through shrubs and trees – there’s no complexity with turf, it’s merely functional.” Secondly, according to Schwerner, “Where we can, we want to reduce the amount of turf because it consumes more water than other plants.” He does note that they use turf for places where people will be walking over a large area – like the Rose Court Garden, a wedding venue at Disneyland Hotel. Where Do Disney’s Plant Experts Look for Inspiration?